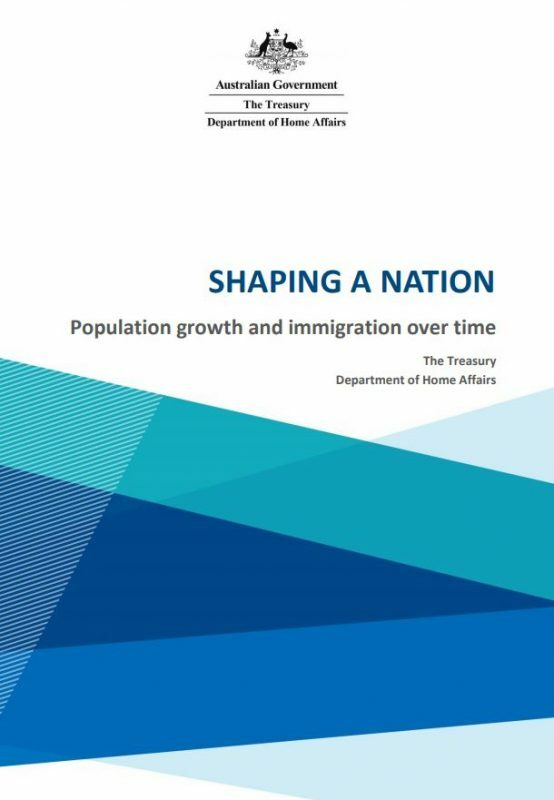 The Treasury and the Department of Home Affairs have recently released a comprehensive report on Australia’s population growth and immigration over time, titled ‘Shaping a Nation.’ This report examines the benefits that population growth and migration bring to Australia, while remaining alive to the challenges brought by a larger population. Migrants to Australia are younger than average the resident population – around 84% of migrants arriving in 2015-16 were aged under 40 years, compared to only 54% of the resident population. From July 2011 to July 2016, employment in Australia increased by 738,800. Immigrants accounted for 613,400 of the total increase, population growth 98,900 and changes in employment participation only 26,500. Migration has had a very large effect on the age structure of employment with most new immigrant workers (595,300) being under 55 years. This report provides a quick and easy reference for policy makers and service providers needing information on Australia’s population growth and immigration.